So I really wanted to boycott "What I Wore" this week. Let's just say that I am not loving this after baby body. 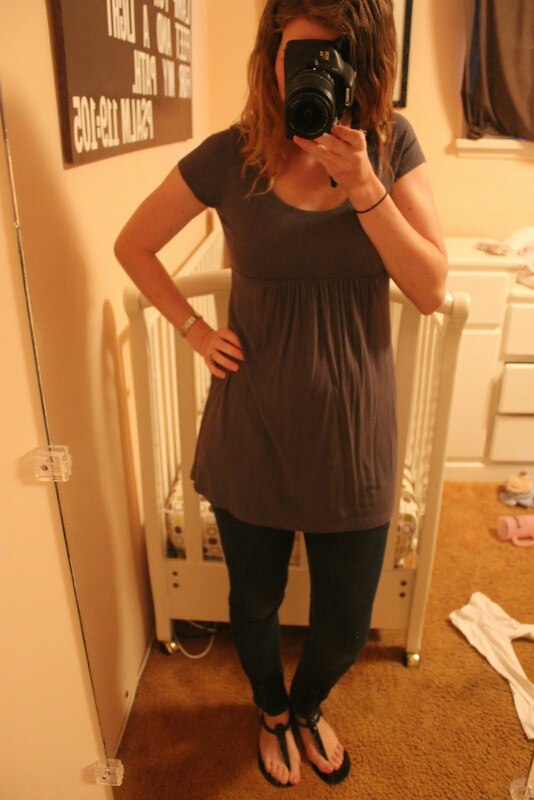 I can't wait to get back to my old self and back into my normal clothes again. But in the mean time I am trying to make the best of what I have. but, i don't blame you for wanting to boycott, I plan on taking a few weeks off after my lil sugar arrives. to me, that's the hardest time to dress the body. cheers to your metabolism doin' its thang! I think you look great but I know how you feel!! I remember not wanting to get dressed after having my little peanut, it just wasn't much fun!! Best of luck!! You look great! I agree with Kim. You should do a series on what she wore. That would be cute! You are doing better than I am! 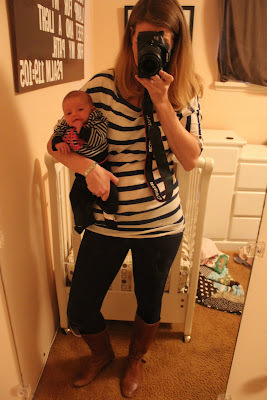 I've hardly gotten dressed since having my baby! :) You look great to me!